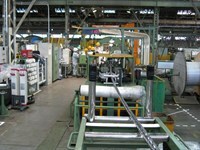 So-called ''S-bend boxes'' are used for the bending and insulation trials of the magnet feeders. 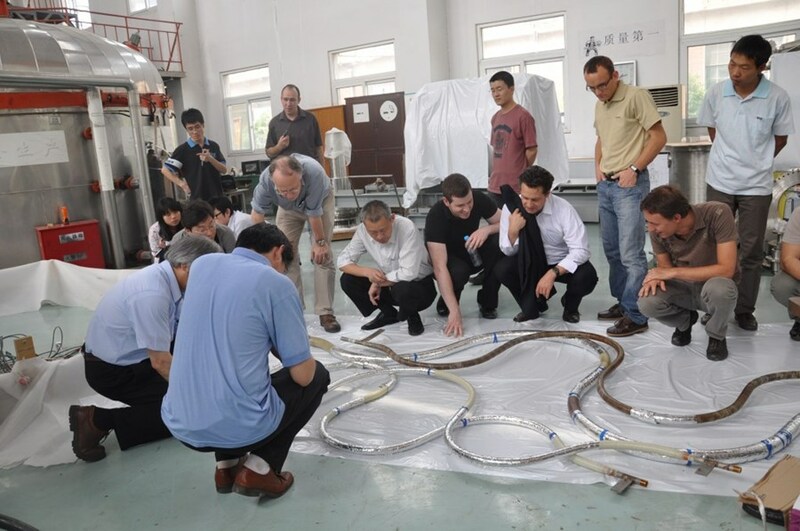 Members of the ITER Magnet Division last month spent a week at the Institute of Plasma Physics at the Chinese Academy of Sciences (ASIPP) in Hefei where work is being performed as part of the collaboration on the design of the magnet feeders. The team witnessed the first bending and insulation trials on conductor dummy lengths that will be used within the "S-bend boxes" that form part of the electrical connections to the magnets from the galleries around the tokamak, providing flexibility for thermal contraction as the magnets are cooled to liquid helium temperatures. The cabling line, with the final silver cable in the middle, and the operating team after 110 metres are completed. 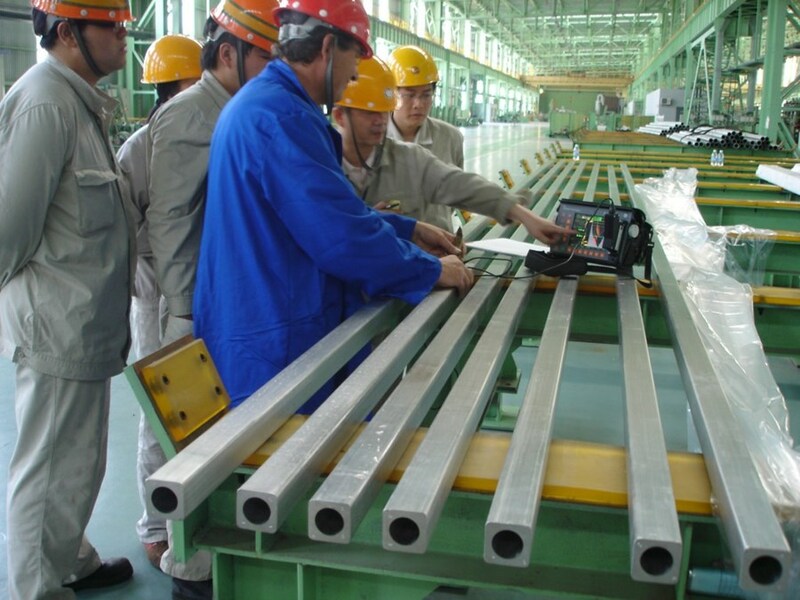 Also, prototype conductor jacket sections for ITER's central solenoid have been produced by the Baosteel company in Shanghai. As part of the CERN-ITER collaboration, two CERN members carried out an ultrasonic inspection for cracks of 30 prototype 316LN (low carbon) central solenoid jacket sections produced by Baosteel under an ITER contract. The sections will be shipped to Japan for a compaction operation at the jacketing line in Kyushu before being sent to US ITER at Oak Ridge for preliminary winding trials. 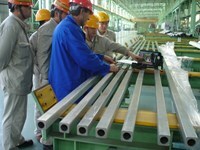 The ultrasonic inspection of the central solenoid jacket sections. 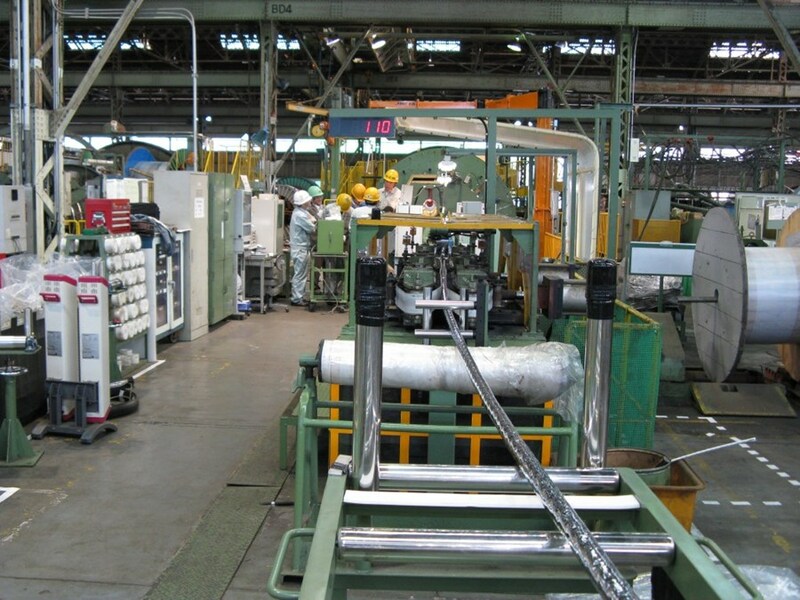 In parallel, the final stage cabling of the first production of a full 760-metre unit length of ITER's toroidal field conductor was completed at the Hitachi Cable facility in Hitachi, Japan. The twelve-hour operation started at 4 p.m. and finished at 4 a.m., with members of ITER's Magnet Division and the Japanese Atomic Energy Agency (JAEA) attending.